Stairs | LawnPro Landscapes LTD. 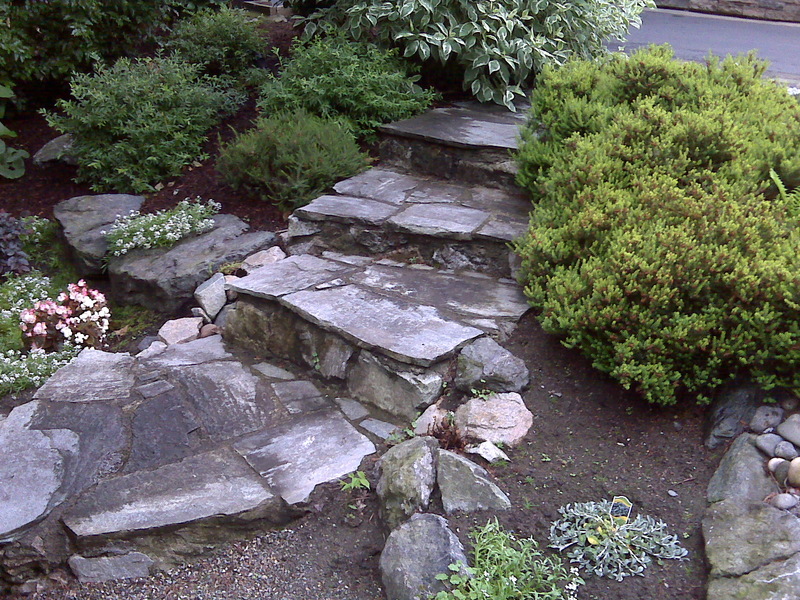 If you live on inclines, be they steep slopes or moderate hills, you may wish to consider building outdoor steps (stairs) or stairways (staircases) to facilitate mobility and usability in their landscapes. The installation of stairs or steps on your property can help gain easy access to difficult areas or provide entry to front or back doors, sheds, vegetable gardens or sitting areas. 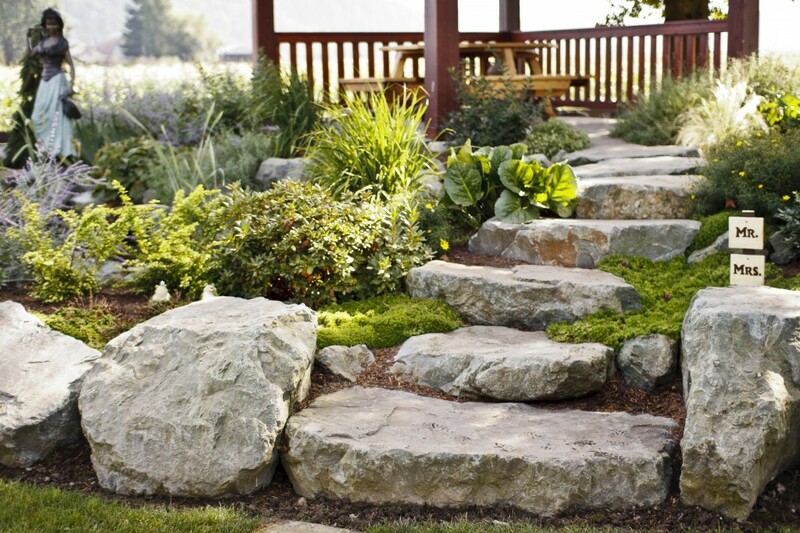 LawnPro has expierience with stairs of all shapes and sizes in a wide range of materials to match your landscape. Popular choices for stairs include: Wood Timbers, Concrete Blocks, Blast Rock, Granite and Basalt slabs.